The legendary hotel Sacher (HotelSacher) was the unique host of the Vienna Event. This hotel is one of the remaining privately owned five-star hotels in the world and one of the most popular in Austria. The hotel was founded in 1876, and since 1934, it has been managed by Gürtler family. 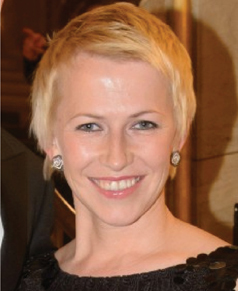 Elisabeth Gürtler told the Event’s participants about the history of the brand Sacher. The memorable event in Vienna. Personally, I visited the onsite event for the first time. 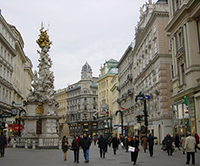 Due to the communication, making acquaintance with the people who live there, moved there to work, do business, and also thanks to the trip to the Vienna Opera House, the city found the soul in our imagination, became alive. Now the understanding of the city has appeared, as well as a sense of its greatness, calmness, confidence, stability, safety. 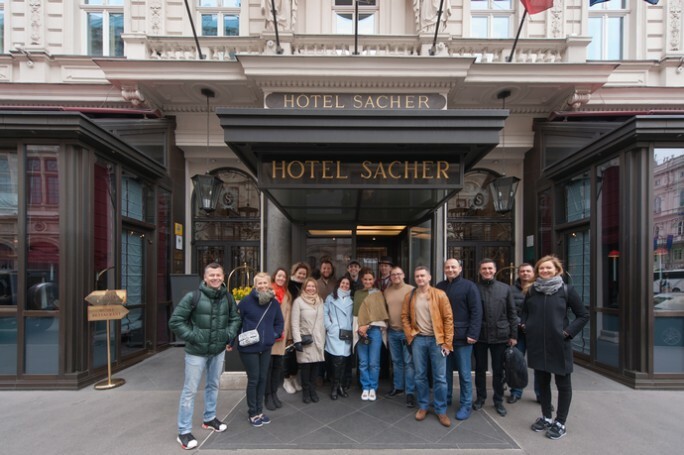 The capital of Austria gave the event’s participants an opportunity, first of all, to look at the experience of the famous family-owned companies with their rich history. Meetings with social entrepreneurs, anyway collaborating with the Vienna Impact HUB, enriched us with specific cases of searching the successful business models. Fun, festive, but also useful, instructive, thought-provoking turned out to be the third international tour FBN-Ukraine. The trip took place on March 20-22 and was organized with the support of the Honorary Consulate of Austria in Odessa.